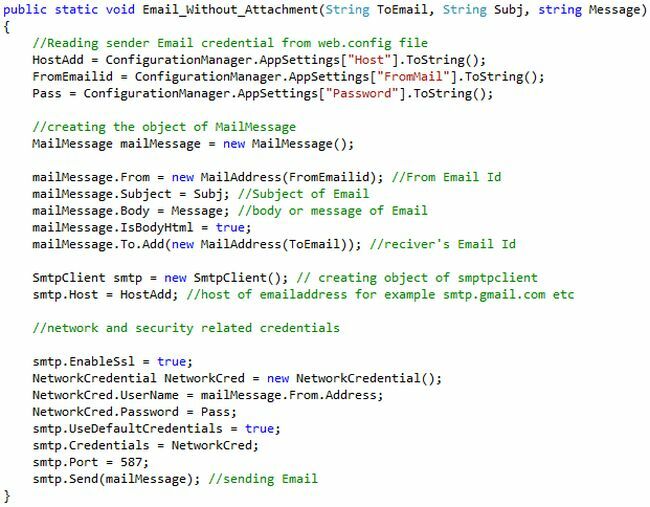 In this article we will learn how to send emails from an ASP.Net C# web application. Let us see step-by-step so beginners also can understand the logic to send emails from any provider. 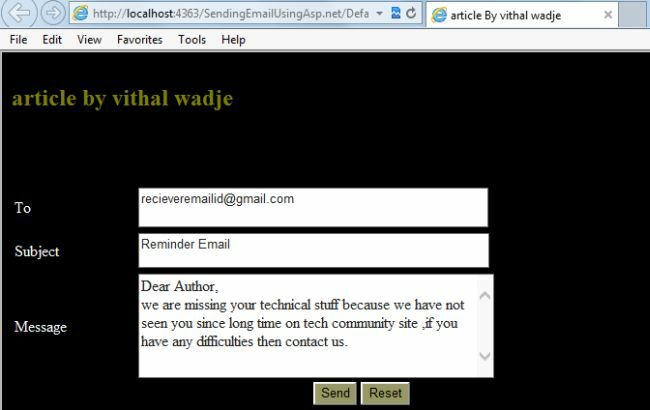 Their are many techniques to send emails from ASP.Net but in this article we will use a SMTP server with the Gmail provider to send the emails. Provide the project a name, such as "Sending Emails" or another as you wish and specify the location. Then right-click on Solution Explorer and seelct "Add New Item" - "Default.aspx" page and one class file. Drag and drop three Text Boxes and two buttons. 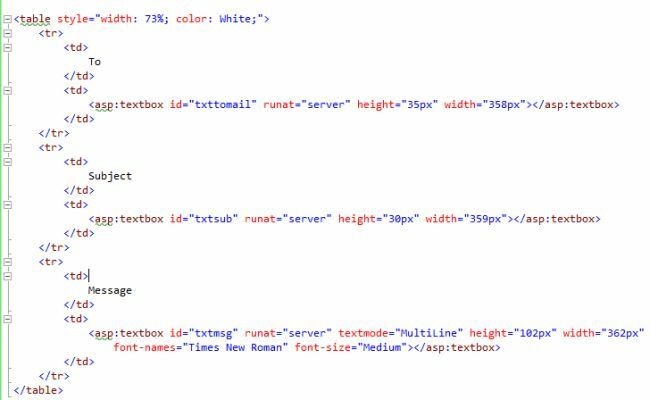 Now add the separate class file by right-clicking on the Solution Explorer, however this is not necessary since you can also write this code in the default.aspx.cs file but for flexibility we are adding it in a separate code file. From the preceding example we learned how to send emails, I hope you have done it. 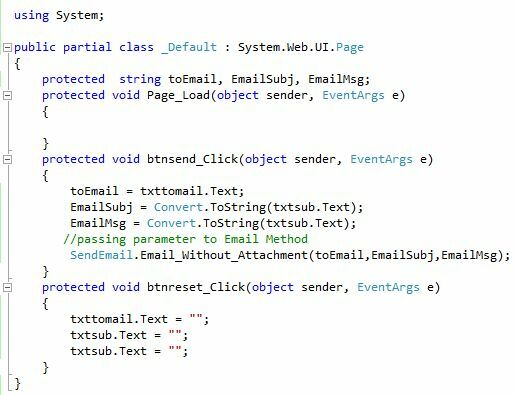 We learned how to send emails in ASP.Net. I hope this article is useful for all students and beginners. If you have any suggestion related to this article then please contact me.